If you’ve been keeping your eye on the Los Angeles D&B scene, then you’ll know all about Slogun and iOh. Hailed as “Ones to Watch” by Kmag in 2013, their deep respect for junglist history and culture has fuelled a steady rise to prominence both as DJs and producers. Now, they’re ready to take the next step, and make their mark on the international scene as part of the Technique roster. 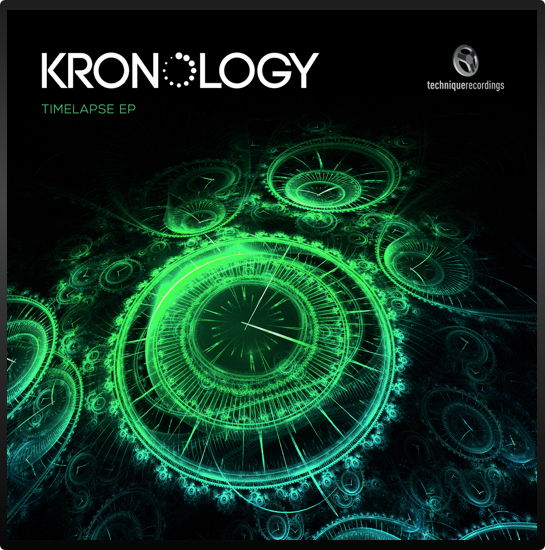 So, after the warning shot of Razor Sharp on the 15 Years of Technique LP, it’s time to welcome the team now known as Kronology with their first full release. You & Me kicks off proceedings in an unmistakeably US style. Evolving house keys establish the percussive heart of the track as classic synth tones add a touch of euphoria. Then a rising siren provides a call to action, delivered on by a funk-filled pizzicato bass and ultra-crisp drums. With this one, Kronology manage to balance an effortless, liquid vibe with rolling rhythms that aim straight at the dancefloor. On Submerge, Kronology team up with some fellow Los Angelians, the DJs, live performers and producers Divine Elements. The result is some highly grimy bass and mightily hard drums all topped off with some finely chopped samples. At its core, this track is all about that rhythmic motif in the low-end, an irresistible rave engine which this production supergroup constantly disassemble and re-engineer to keep this fresh from beginning to end. Then Kronology recruit the singer-songwriter known as Without My Armor, to show a whole new facet to their work. Monster opens into a claustrophobic atmosphere, with dark pads vying for space with the vocals and creating a level of tension that begs for relief. And that relief comes as the bassline and counter-balancing mid-range bursts onto the scene. The contrast between the constricted metal influence that weaves through the track and the open, big-room sound gives this a vibe all of its own. So Kronology have arrived, and they’ve got some flavours that you might not have heard before. While fully immersed in drum and bass music, they’ve brought their own influences of American EDM, house, punk and metal to work into the formula. Straight out of the San Fernando Valley, here’s something new for the D&B scene, encapsulated in their first release, the Timelapse EP.